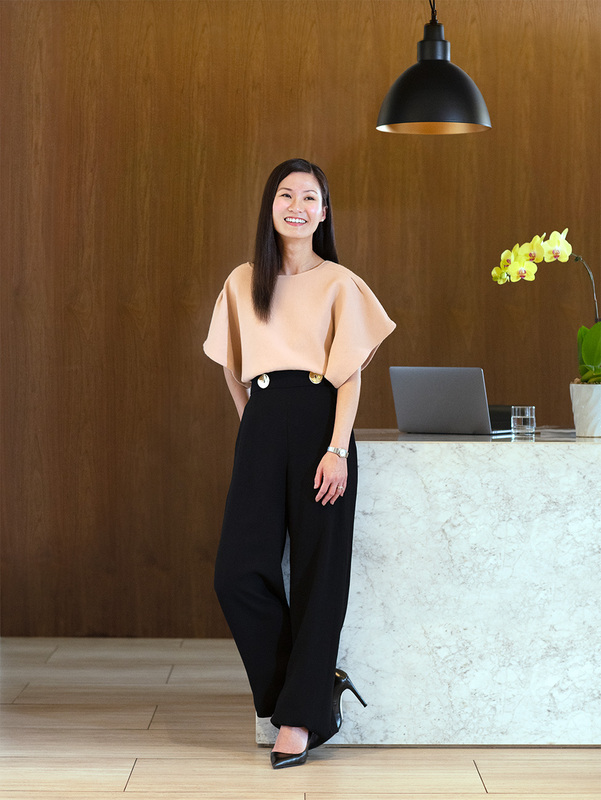 Even after more than 20 years of experience in hospitality, Keng Sin is as full of energy and passion for her job as she was at 16, when she decided she would pursue a career in the industry. Now a mother of two, she draws inspiration from her children to provide the utmost care for her little clients and their parents. Some of her clients aren’t so little anymore, but still remember and visit her till today. To her, that’s what being in the business of happiness is all about. How long have you been in the industry? I’ve been working for about 18 years. The first hotel I joined was Mandarin Oriental. I started off as a Sales and Public Relations Coordinator. I remember thinking that everything was very colourful and vibrant in the industry. Then I moved up the career ladder in Sales, which was what I was interested in. I started doing room and catering sales, gaining a better understanding about the hotel before moving to a larger hotel, where I got the opportunity to work with different types of guests and clients, handling larger-scale events – and that was what gave me more exposure to what hospitality is. I eventually climbed up the ranks to become a Director of Sales and Marketing, and I was offered the chance to become a Hotel Manager, which I accepted because my goal is to ultimately become a General Manager and have a full understanding of how a hotel functions. Have you always aimed to become a General Manager? I noticed that there weren’t many women who were Hotel General Managers in Singapore, or in Asia for that matter. And as I progressed through my career, my mentors and the people I’ve worked with really gave me the confidence to do and achieve more. So I decided to make it my career goal to become one of the first female General Managers in Singapore, and I hope that by doing so, I can inspire others to do the same. You’ve had a lot of mentors during your career. Do you now try to pay it forward by mentoring others? Yes, I think that I can definitely pay it forward. If I can do what I’ve done so far, I think a lot of other people can as well. I always ask my new employees where they want to be in the future. If this is the industry that they want to be in, there’re a lot of opportunities that I can actually create for them. It’s just a matter of how much passion and commitment they have, but I will definitely impart to them as much knowledge as I possibly can. Was there a reason why you decided to join the industry in the first place? I think it’s the people. I feel like I can connect with people and I love that kind of connection when I speak to people. I knew that the industry could allow me to do that. And whenever I travelled, I was able to see and experience staying in some really nice hotels. That inspired me to want to pursue a career in the hotel industry, even though it can get challenging sometimes. What are some challenges that you face? Time management, perhaps? Because a hotel is running 24/7, you don’t just work the typical office hours. But it helps to have a supportive family and friends who understand what the job demands of you. My colleagues and mentors also helped me out along the way. Despite those challenges, would you say that it’s a rewarding career? It definitely has been. But the rewards, to me, are not something tangible. I’m not expecting to receive something tangible in my career. It’s the happiness and fulfilment I feel that I really enjoy the most. What do you love the most about what you do? Simply being able to connect with people and make them happy. That’s what I enjoy the most about my job. What was your most memorable experience in all the years you’ve worked in the industry? There was this incident when one of the guests came up to me in panic while I was walking the grounds. He had actually already checked out and was on the way to the airport with his family, but he realised that he had lost his passport. He thought he might have left it in the room, but there was nothing found. We did everything we could to help him – we let him check the room again, we looked through the CCTV footage, called the driver who drove him to the airport – but we never managed to find his passport. Although we couldn’t locate his passport, what I remember most was how the team came together to calm him down and to help him with the next steps on how he can get home. We gave him the contact number for the embassy, and arranged for him to stay for another few days. It was the least we could do, but it meant a lot to him and his family at that point– and they wrote back to us to let us know how much they appreciated our help, and that was really nice. You’ve achieved so much, what are you most proud of? I’m proud of where I am now, but there’s still a lot for me to learn and understand about the industry. I’m actually most proud of the Sales and Marketing teams that I have worked with and built over the years. It gives me a sense of fulfilment to see how much they’ve learned, grown and accomplished as they progress through their careers. If you could offer a word of advice to someone who is considering to join the industry, what would it be? It’s a people industry, and having the right attitude and passion (heart) is important.